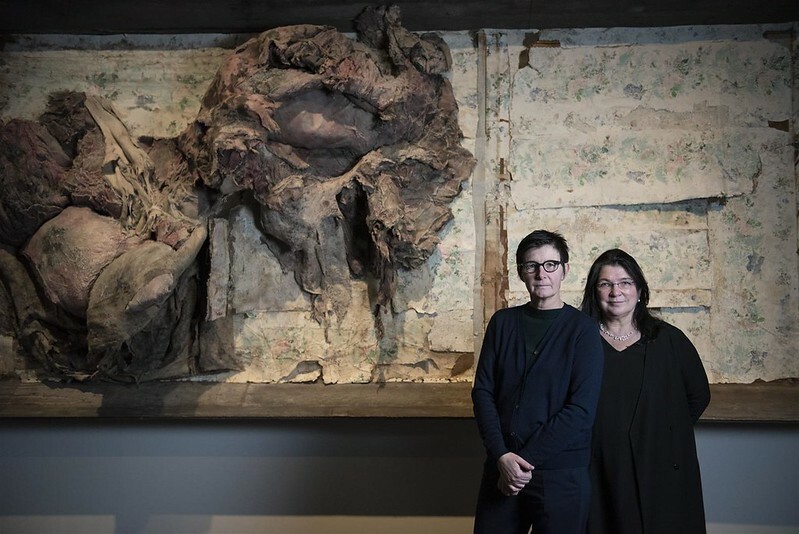 In 2016, the contemporary artist Berlinde De Bruyckere (b. 1964, Ghent) was first introduced to the enchanting Enclosed Gardens. She was deeply moved by the fragile beauty of these sixteenth-century reliquary altarpieces. The hundreds of delicately fashioned flowers, in their different stages of growth and decay, reminded her of the spent lilies she had photographed at home, meticulously documenting their gradual decline. According to De Bruyckere, the fallen petals are very similar to the delicate human skin, a recurrent theme in her work. In 2017, the artist started to work on a new series, called It Almost Seemed a Lily in which the flower has a starring role. The lily has many religious connotations and is also often used as a metaphor in classical mythology. De Bruyckere was inspired for the title by the myth of Apollo and Hyacinth in Ovid’s Metamorphoses. In this exhibition in Museum Hof van Busleyden, De Bruyckere juxtaposes and confronts her series with the sixteenth-century Enclosed Gardens, that are masterpieces of the museum’s permanent collection. These Enclosed Gardens are like a refuge, a miniature paradise that is protected from external influences. The lilies in De Bruyckere’s series exude tenderness and roughness because of their texture. The series of textile, iron and wax sculptures are framed with eighteenth-century oak floor boards from the artist’s home, which bear the marks of the many feet that walked across them in the past centuries. All the elements in De Bruyckere’s cabinets are infused with a special meaning. Together they conspire to write a new narrative, about the past and future, about beauty and decay. It Almost Seemed a Lily is Berlinde De Bruyckere’s first solo show in Belgium since 2014. Some of the works in this series were also exhibited at Palazzo Fortuny during the Biennale di Venezia, Art Basel, Manifesta and the Sara Hildén Art Museum (Finland). Exhibition in partnership with the Catholic University of Leuven.